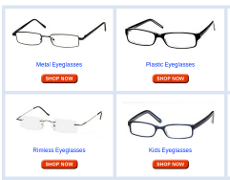 Buying Eyeglasses Online: Good Idea? The Internet has affected just about everything. Most music comes in digital form instead of analog, books are downloaded instead of printed, and shopping has gone from the department store to the keyboard. Retailers have also changed ways of doing business from solely focusing on a brick and mortar approach, to making sure it has a strong Internet presence. One of the latest industries to make the successful leap from physical location to webpage is the prescription eyeglass industry. The old way of making your way down to the nearest crowded optical store is nearly a thing of the past. Younger consumers have especially taken to buying their eyewear online, and as a result, an extensive number of Internet eyeglass companies have emerged. Many of these companies produce retro and trendy eyewear for those younger fashion forward consumers who desire a little cool with their improved vision. This particular portion of the buying public is ideal for Internet retailers, since younger consumers are already online and expect products to be inexpensive and deliverable. Industry research shows that consumers are drawn to online optical retailers because of wider product variety and hipper eyewear fashions. In exchange for low overhead, online eyeglass retailers can provide more designs, more colors and offer more brands than a brick-and-mortar. And consumers love that. "With the surge of online shopping, optical e-commerce websites have become the wave of the future, said Daniel Rothman, who is the CEO of GlassesUSA.com. "Many optical E-tailers, provide an efficient and affordable way for consumers to shop for eyewear. Compared with purchasing eyewear at a brick-and-mortar store, shopping for eyewear online is not only more economical, but it also allows consumers to shop across various competitors from around the world," he said. In a study entitled the "2011 Vision Council Internet Influence Report," all eyewear products bought and sold online went up from 2010 to 2011, and sales continue to grow. The report shows that 2.4 percent of respondents purchased their eyeglasses online, equating to 1.6 million pairs sold in 2011, out of those surveyed. Nearly three percent of those who purchased over-the-counter eyeglasses bought them online, equaling 1.3 million pairs sold. In addition, 4.3 percent of those who wear plano sunglasses used the Internet to select, try on, and buy a pair of shades. Many of these online companies offer a virtual eyeglass fitting component where consumers are able to try on different prescriptions by matching frames with a personal online picture. Some sites even offer a virtual instructor helping you to select the write frame and design for your face. Customers simply choose their design, include their prescription information, and hit the order button. If you're not sure what your prescription is, many online optical companies will call your doctor and request it for you. 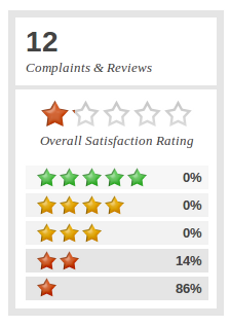 But just as with any new business model, there's bound to be some flaws and unsatisfied customers milling about. "I sent my glasses to them about a week ago, and haven't heard a thing," said Terri of North Carolina in a ConsumerAffairs review. "I had glasses that were chipping off on the glass part by the frames. I sent the glasses and the prescription. Where are my glasses and why haven't they let me know something?" Micki of Kansas City is wondering the same thing. "Twice I sent back the glasses that they made wrong, and then they had the gall to ask me to pay half the price to fix their mistake. When I asked for a refund they only gave me back half of my money. [I] have a claim filed with the Attorney General's office." So the questions remains, is the convenience of purchasing glasses online worth the risk of getting an unsatisfactory pair? In a report conducted by the UK consumer watchdog group Which?, it showed out of 36 online glasses tested, only ten met industry standards. The report also showed a high percentage of the glasses didn't have exact prescription measurements, which could make impaired vision even worse. A separate study published by the medical journal Optometry: Journal of the American Optometric Association showed that almost half of prescription eyeglasses purchased online either failed safety standards, or fell below prescription specifications. 22.7 percent of one or both lenses failed the U.S. Food and Drug Administrations impact-resistance regulation. Experts say it's key for consumers not to be sucked in by the low costs and fancy designs that many online eyeglass stores offer. Vision safety and comfort should be the main qualities you look for in glasses, and confirming these things online can be quite a challenge. Besides the prescription, buying glasses online makes it hard to test the quality of the frame, since lower cost usually means a cheaper quality. Although this isn’t always the case, high expectations for quality glasses shouldn't be attached to a $39 price tag. However, if you do decide to purchase glasses for yourself online, try not to buy them for children, as reports also show one in four glasses made for children failed to pass industry standards. If you're still eager to buy glasses off the Internet, try just ordering the frames without the prescription. That way you can test the frames out for quality and comfort, then take them to an optical store for an exact prescription. This is a perfect way of combining the convenience and product variety of shopping online, along with the individualized care you get from going to an optician. It's the best of both optical worlds.